Why Come to a Prosthodontist? Prosthodontics also known as Prosthetic Dentistry is one of nine dental specialties recognized by the American Dental Association. This is mainly associated with the replacement of missing teeth, missing tooth structure as well as tooth restoration. Tooth preservation is the cornerstone to our practice here at Wassan Speciality Dental Center. However, in some situations it becomes difficult to save one’s natural tooth and this is where Prosthodontics can really help. Prosthodontics offers the most advanced form of restorative treatment and maintenance. Studies show that many people are unhappy about the look of their smile, with 25 percent of Americans saying their smile and/or teeth is the one facial feature they would change to boost their self-esteem. The advanced specialty training that prosthodontists receive makes them experts in improving appearances by restoring broken, discoloured, mal-positioned, and/or misshapen teeth. A better smile and improved oral function can greatly improve a person’s self-image and quality of life.Our in-house prosthodontist will work closely with the patient to develop a comprehensive treatment plan and to help the patient understand what improvements are possible. Damaged previous tooth replacements, crowns, bridges,etc. A dental crown is a tooth-shaped “cap” that is placed over a tooth — to cover the tooth to restore its shape and size, strength, and improve its appearance. The crowns, when cemented into place, fully encase the entire visible portion of a tooth that lies at and above the gum line.Crown is an ideal way to repair teeth that have been broken or have been weakened by tooth decay or a very large filling. The dental crowns procedure offers many benefits to patients. Its restorative capabilities include its ability to support a tooth that has been badly damaged by tooth decay. Additionally, it also helps restore a tooth after a root canal or even hold together a severely cracked or broken tooth. Lastly it also could help act an anchor for a dental bridge. At Wassan our patients can now have their precision-milled porcelain crowns crafted in just one day. This cuts down on the need for an additional dental visit. In the past, patients had to attend at least two dental crown treatment appointments. During the first appointment, the tooth was cleaned and prepped for placement of the new crown, and then a mould was taken of the tooth, so it could be sent to a dental lab for fabrication. Next, a temporary dental crown was placed on the treated tooth to protect it while the dental crown was being made. About a week later, when the permanent restoration was ready, the patient would return to the dentist’s office, so the crown could be bonded to tooth. At the Wassan Speciality Dental Center, we use the CEREC® 3-D system to fabricate your crown in our office, and all the dental crown treatment steps can be completed in one appointment. Nowadays a patient has a variety of options these days when it comes to restorative dental work. Did you know a dental bridge is designed to replace one tooth or multiple missing teeth in a row, to restore one’s smile while providing a durable, natural-looking result? 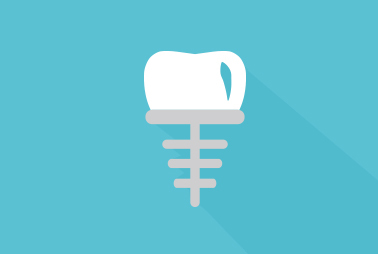 A dental bridge is a common, affordable, time-tested, and low-risk treatment for missing teeth. 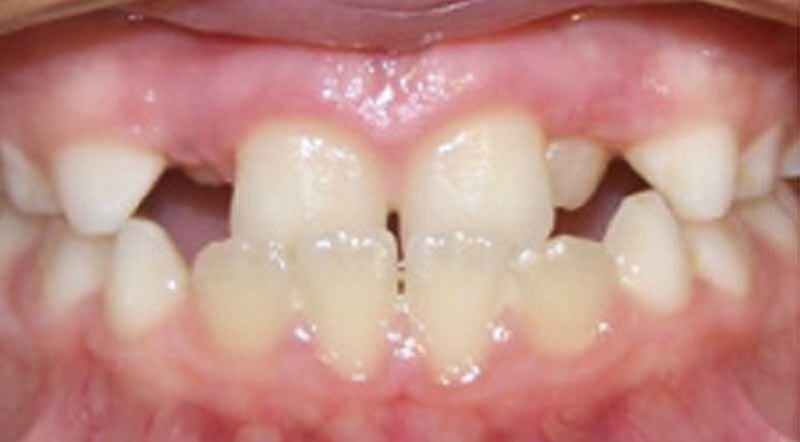 Virtually anyone who is missing one to three consecutive teeth is a candidate for a dental bridge. A bridge can impact a patient’s smile, oral health, and dental functionality for decades. It begins by numbing the teeth and the surrounding gums to ensure your comfort. Then the teeth on each side of the gap will be filed down to specific dimensions. Followed by a taking an extremely detailed impression of the teeth. Lastly the dentist will discuss the desired colour of the dental bridge. This impression is then sent to the laboratory to prepare the final bridge. Once the final bridge is ready, the dentist will ensure the proper fit with an x-ray, your bite will be checked and might adjust if the bridge is too high. Once a patient is satisfied with the appearance, extremely adhesive cement is used to cement the dental bridge in place. Dental veneers very plainly put is nothing but thin shells of medical-grade ceramic that are fixed on to the front surfaces of teeth for smile transformation. These are individually crafted for each patient and are made from advanced material that closely resembles the appearance of natural dental enamel. Since veneers are individually sculpted for each patient, it is nearly impossible to tell the difference between a veneer and a natural tooth. Unlike natural teeth, custom-made veneers resist coffee and tea stains, and cigarette smoke because they are made of high-tech materials. With veneers—as opposed to crowns—your natural teeth remain largely intact with only a minimal amount being altered to fit the veneer. Even for teeth that resist whitening, veneers can make even the darkest teeth appear bright white. Dentists may also recommend veneers to quickly fix minor twists, overlaps, and small gaps. Porcelain veneers are very durable and longer-lasting, they can last 12-25 years and rarely require maintenance. First the Prosthodontist will make an impression of your prepared teeth and send them to a laboratory, where they can replicate the shape for your veneers. Once they have been made, the dentist will ask you tocome back, so they can ensure the veneers are the perfect shape, fit and colour-match for your teeth. Dental cement is then used to bond the veneers to the teeth.Maintaining porcelain veneers is quite simple: Treat them as you would your original teeth, with routine brushing and flossing. Our prosthodontist would ask for a follow-up visit, one week after your veneers are placed to evaluate how your mouth is reacting to the veneers. If you have a habit of grinding or clenching your teeth, your dentist may fit you with a night-time bite guard, so you do not damage your veneers. Dentures are custom-made replacements for missing teeth and can be taken out and put back into your mouth. There are three types of dentures are available – complete and partial dentures and implant supported dentures. Complete dentures are used when all the teeth are missing, while partial dentures are used when some natural teeth remain.An implant-supported denture is a type of overdenture that is supported by and attached to implants. This is used when a person doesn’t have any teeth in the jaw but has enough bone in the jaw to support implants. An implant-supported denture has special attachments that snap onto attachments on the implants.Dentures are custom-made in a dental laboratory from impressions taken of your mouth. Our Prosthodontist will determine which of the three types of dentures described is best for your needs. Dental inlays and onlays are restorations used to repair rear teeth with mild to moderate decay or cracked and fractured teeth that do not need a crown. An ideal candidate for inlay or onlay work typically have damage or decay in the tooth structure to be successfully treated using a filling, but have sufficient healthy tooth remaining to avoid the need for a crown. This allows our Prosthodontist to conserve more of the patient’s original tooth structure. On the other hand an onlay is a method used to repair a tooth that has more extensive damage affecting the cusp or tips of the tooth, or potentially the biting surface. The dentist will numb the patient with a local anaesthetic and will drill the tooth to clean out the cavity, remove any decayed tooth material and insert a temporary dental onlay, while sending off the patient’s impression to the laboratory. A week or so later the permanent onlay arrives, and at the next visit the dentist removes the temporary onlay and fits the final dental onlay in its place.